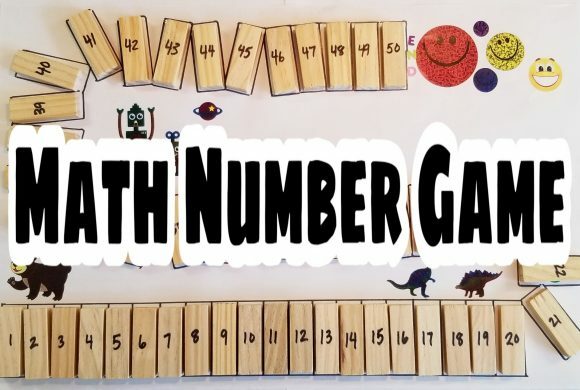 This is such a fun, hands-on way to teach math! 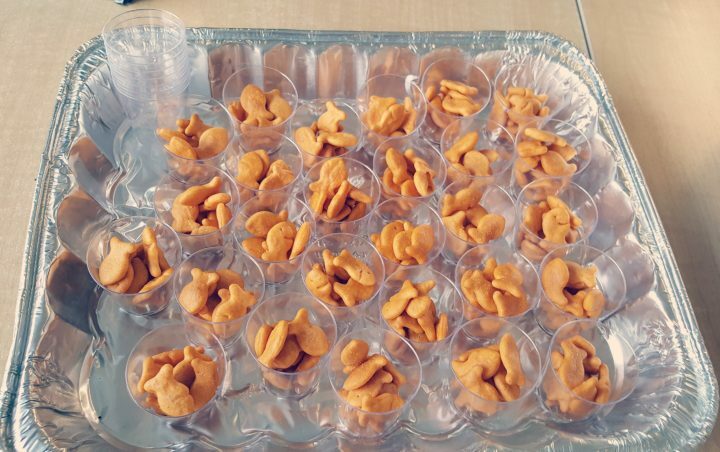 I handed out a small cup with 10 goldfish crackers each. (Always be aware of any allergies.) I also gave each child a laminated sheet of paper. 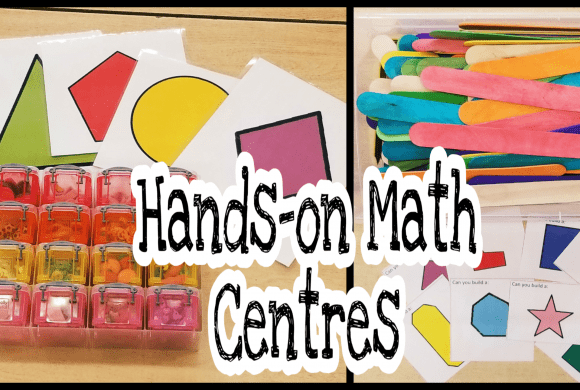 I use the sheet when we use small manipulatives. The sheet is to keep the goldfish in their ‘home’. 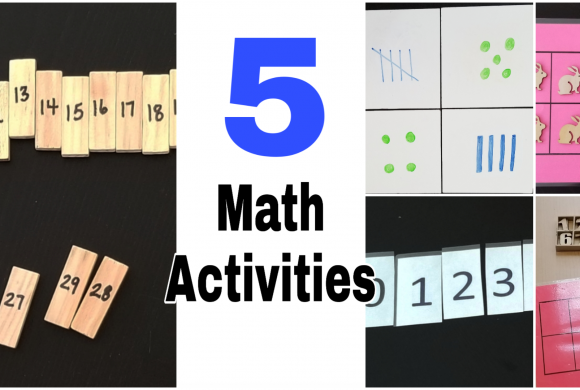 I am always looking for hands-on ways to keep kids engaged during math lessons and this activity certainly did that. 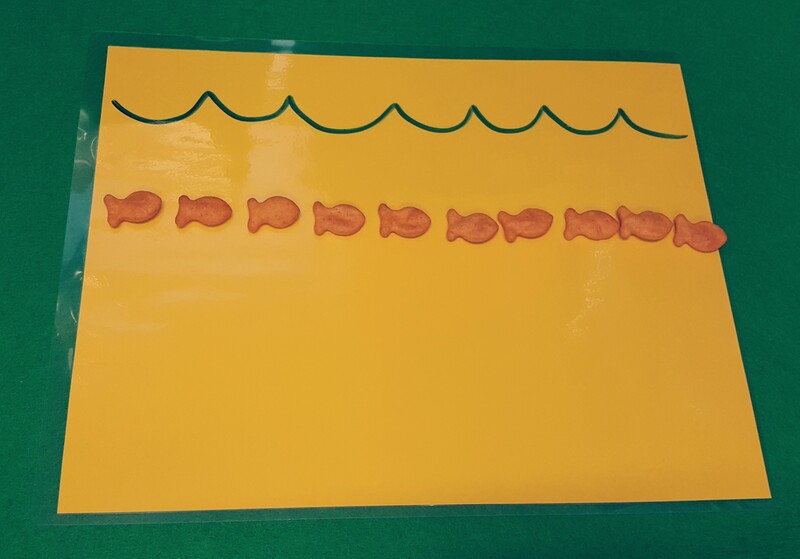 First, I asked students to line up their goldfish and count to make sure that they had 10. Once everyone had 10 and their fish were all lined up we started taking one away at a time and counting as we subtracted. As each fish leaves, children then eat one of their crackers. We then get out our counting finger and count our remaining fish. I strongly encourage students to actually touch the fish when they count. It makes a huge difference in terms of accuracy if they touch the manipulative/cracker. Children were really engaged in this activity. First of all because they got a little snack, but also because they wanted to follow along and eat each cracker at the right time.